Did you know that during a non-canon story line fro DC Comics, Harley Quinn was actually in a folk duo music group with Poison Ivy? In the story Rockumentary Lex Luthor represents the twosome as they gain fame and fortune in the lucrative world of professional music. Harley also, despite her deranged sensibilities, is actually highly intelligent, having been a Psychiatrist in Arkham Asylum previously, treating the Joker. 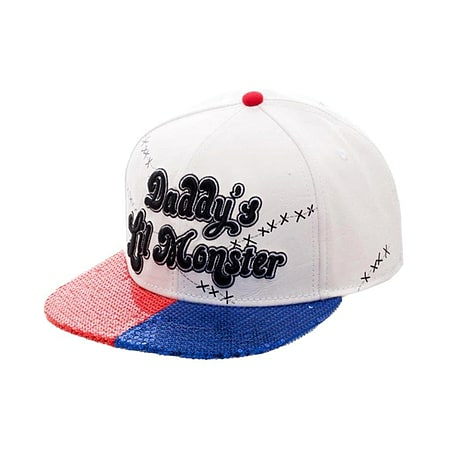 Embrace the voices with this incredible Suicide Squad Daddy's Lil Monster PU Sequin Bill Snapback Cap. 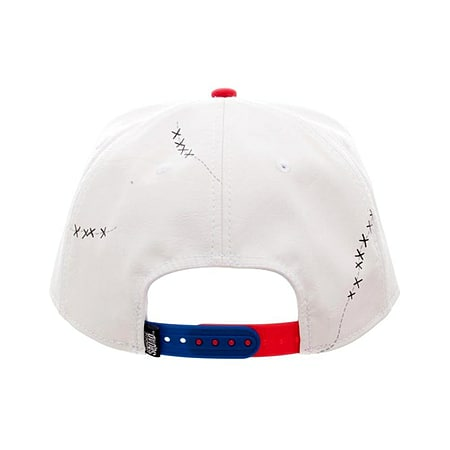 This Harley Quinn Snapback features the memorable motto that appeared on Harley's shirt during 2016's Suicide Squad featuring Margot Robbie. 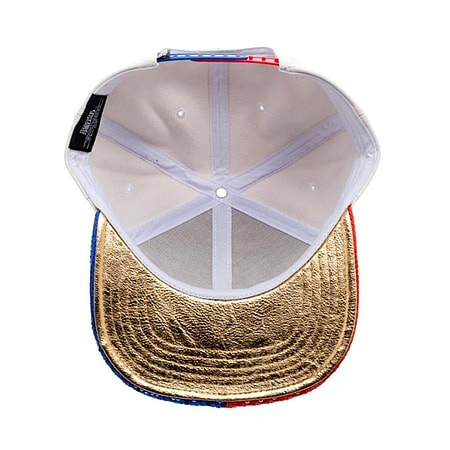 The hat is officially licensed DC Comics Merchandise and incorporates a sequin design for your pleasure.